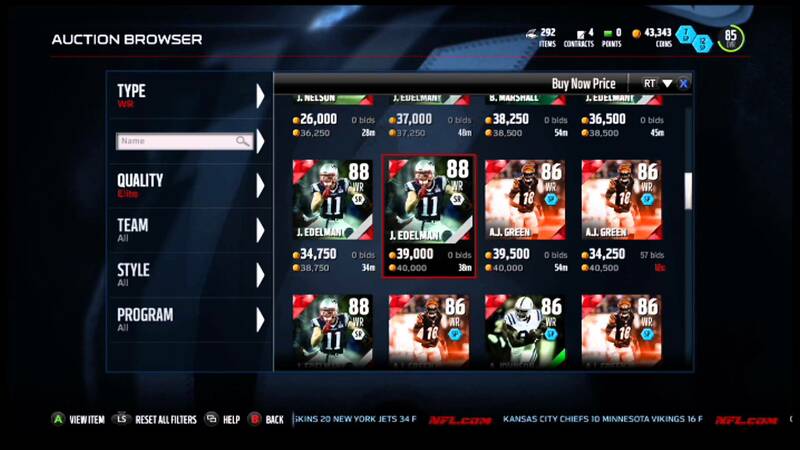 Madden Ultimate Team (MUT) is the cash-cow of EA’s Madden series and the fastest-growing mode. One famous YouTuber has put over $10,000 alone into MUT 16 and many would have spent just as much ripping packs to pull the best cards. With that being said, the game mode is far from perfect. This wishlist won’t cover things such as nerfing aggressive catching and gameplay improvements, that has been covered elsewhere in the Madden 17 Wishlist article. This is piece will be focusing purely on the MUT gamemode, like bringing back the alternative jerseys among other stuff. 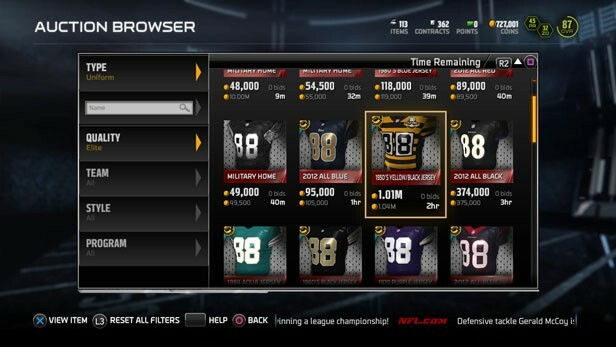 I was furious when I found out EA had taken out alternate jerseys in MUT this year. It was so fun being able to play in throwback jerseys. They kept them in CFM and head-to-head so it made no sense to take them out of MUT. They need them back this year but we should get more things to play around with. Like the ability to create a logo, jersey or stadium. These would be fantastic additions to the gamemode and you only have to look how it has gone down on the NBA 2K series to see that football community would love it as well. 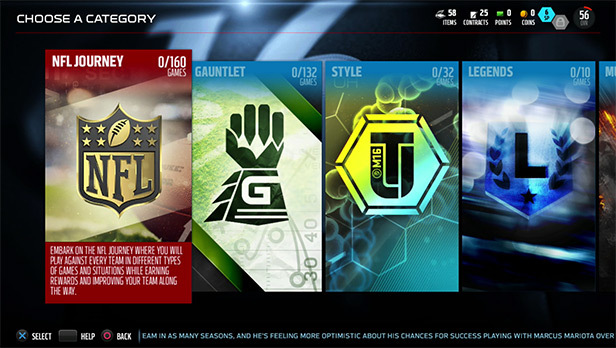 What about the ability to have custom playbooks like we do in H2H? If I can create the ULTIMATE team, why can’t I have the ULTIMATE playbook? I get that people will abuse it with money plays and one play TDs but it means people will stop using the same formations from the Cardinals or Saints PB. If that is too overpowering, then at least the chance to customise our audibles. We have all been there. You start a game, start winning and the opponent quits. Doesn’t matter if its in the 1st or 4th quarter, it is annoying. What makes it even worse is that you don’t the coins you would have got if you had won. So instead of 1,200+ you get 10. Not to mention the fact you just lost contracts as well. 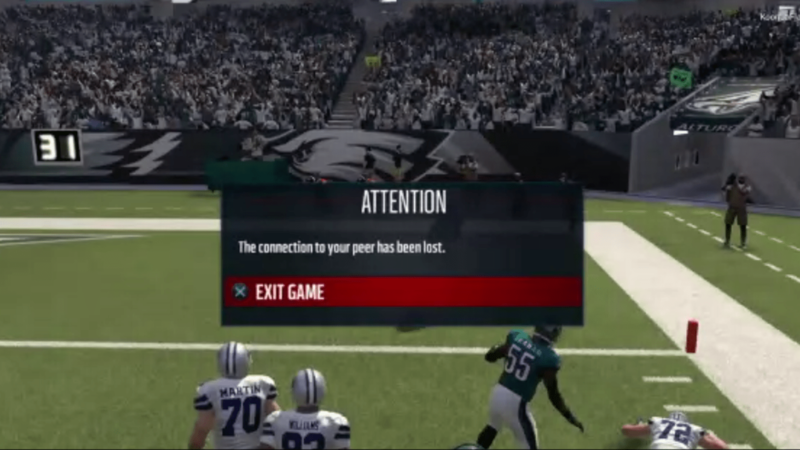 If your opponent quits during the game, you shouldn’t lose any contracts and should get 1,000 coins minimum. For the person that quits, they should lose coins, contracts and for repeat offenders they should be timed out for a certain amount of time. I get that some people have to leave suddenly so have no choice but to quit. Or their internet cuts out. I get that. But there people who quit over and over again, whether it is to self-demote or they hate losing. If there was some sort of punishment for quitting a game, I bet there would be a sharp decrease in the number of quits. This is a small issue, if it even is one. 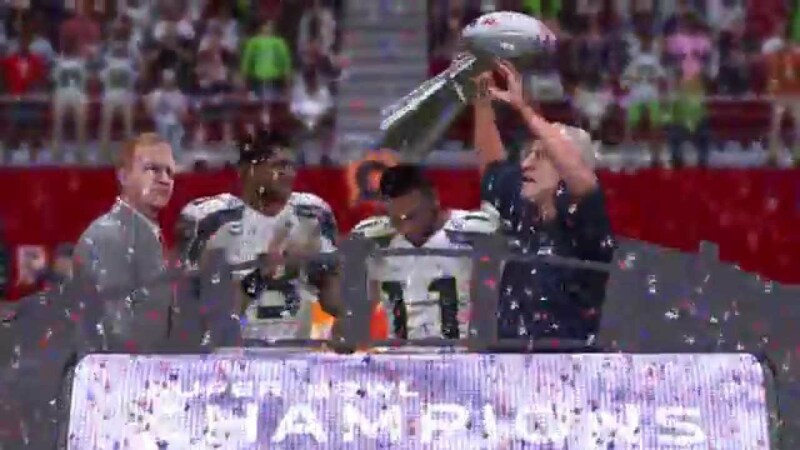 Just I miss the celebrations if you win the SuperBowl. It was a sense of achievement winning one, the satisfaction of slogging through the nano blitzes and aggressive catches. Watching your team lift the Lombardi trophy gave you a sense of pride. This year, you just watched your team jog off the pitch while a graphic of the game’s stats appeared. If you want it to feel like every other game, then get rid of the SuperBowl. If you are going to keep it, give us some kind of end scene, doesn’t have to be long and if we want to skip it we can. Just give us the option EA. I like that this year we have seen a lot more solos, especially the Journey ones, so you are probably wondering why I have this here. It is not a lack of solos that annoys me, it is that it takes ages to get into them and if you fail to complete one, like throw a late interception, you don’t have the option to restart the challenge. You have to go back to the main screen and load back into it. This takes a few minutes and when you are grinding solos, you don’t want to waste time loading up the challenge. It is frustrating when you get to a final challenge, mess up and at the start then have to restart the WHOLE process again. Fifa has the option to restart a challenge from the start screen so why can’t Madden? Now the AH actually runs OK but there can be improvements. For example, setting a max amount you want to bid for a particular card. Kind of like Ebay. That way, If there is an hour left on a card and I want to go to bed, I don’t have to stay up. I can up my max bid and find out if I won or not in the morning. I have long been an advocate for an online auction house, like they had with Fifa. That was until someone hacked the Fifa one and we haven’t seen it since. Regardless, I think EA should look at bringing this back. 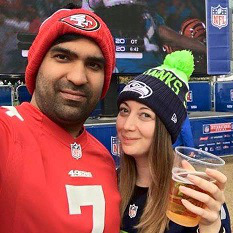 If I had a pound for every time I have been stuck at work and heard via Twitter or MutHead forums that a card I was after just sold for peanuts, I would have at least £13. Having an auction house app would mean players could play games and build their teams at the same time. Surely that is what EA wants, people to play as many games as possible? Knowing EA, they would probably charge for the app but if it is £1.99 I would be OK with that. Also, the ability to not have to back out of the AH to get back your coins so you can up your bid would be a welcome addition. I have lost out on a number of cards this year due to this and it has been a problem for the last few years. And how about increasing our binders and giving us the option to sell more than 20 cards at time? Is that too much to ask? This is an odd one as I don’t see it appear often, if at all, on most YouTube videos or wishlists and maybe this is just something I would like to see. But it would be helpful if the game stored stats in MUT, not just for my own team but for my opponents as well. If I want to see what cards I have had in the past and how they have done it should give me that option. Say I have a QB who did really well for me and I decide to sell him for a new one. The new one doesn’t play as well, I should be able to go back and see how my other QBs compared to this one. Did I throw more INTs with a certain QB, fumbles etc. Did my 86 Julio Jones catch more than my TOTW Jones? A higher rating card doesn’t necessarily mean it will play better so I should be able to compare both cards and how they have played in MY team, not just their stats. Also, I’m not sure why they got rid of the loading screen before games where it told me my opponents best 3 players, what playbook they were using and what their favourite play was.